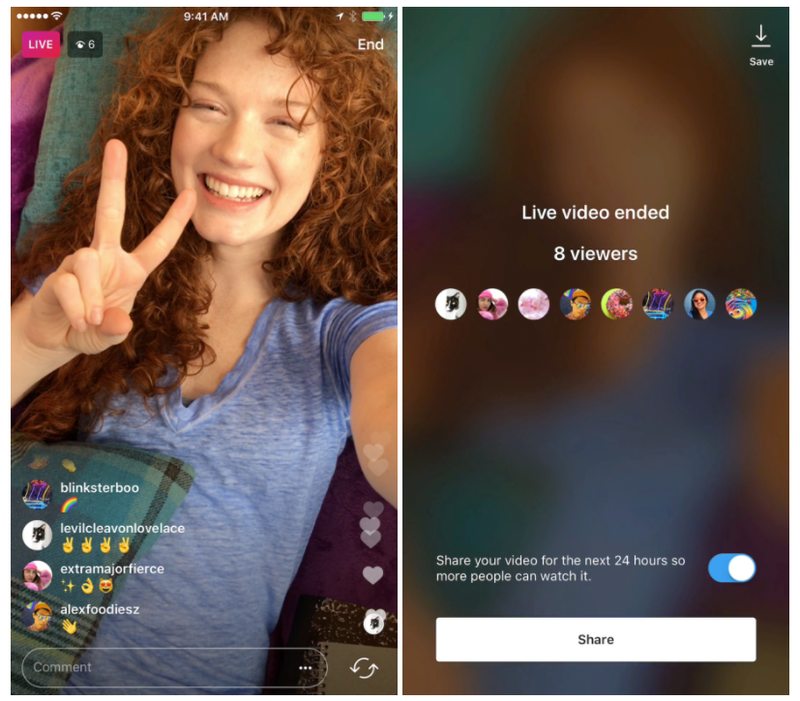 Back in November, Instagram added a new live-streaming feature which was a little different to those on offer on other platforms, in that whatever you broadcast live only existed in those moments. As soon as your broadcast stopped, your video was gone. It was an interesting approach, especially since all other live stream platforms had been moving away from temporary content - but now Instagram's reversing that, adding the capacity to replay live-streams, and to more easily share your live-stream content with your audience. As you can see from the above right image, now, when your Instagram live-stream is over, you'll have the option to share your video for the next 24 hours. You can also choose to delete the stream entirely by clicking the toggle, maintaining existing functionality. "When someone you follow shares a replay, you'll see a play button under their profile photo in the stories bar. Tap it to watch the video and see comments and likes from the original broadcast. You can also tap the right or left side of the screen to go forward or back 15 seconds, or tap "Send Message" to reply." If a user shares multiple live-stream replays at once, you'll be able to skip through them using the arrows at the top right and left of the screen (seen in the right hand image above). You'll also now be shown total view counts - both live and replay viewers - with the eye counter up alongside the 'X'. In some ways, Instagram's maintaining some level of immediacy and presence, by deleting the videos after 24 hours, as opposed to keeping them on your profile forever. But still, it feels like a bit of conceit, a move away from the one element that made their live-stream option different, and a little more fresh. 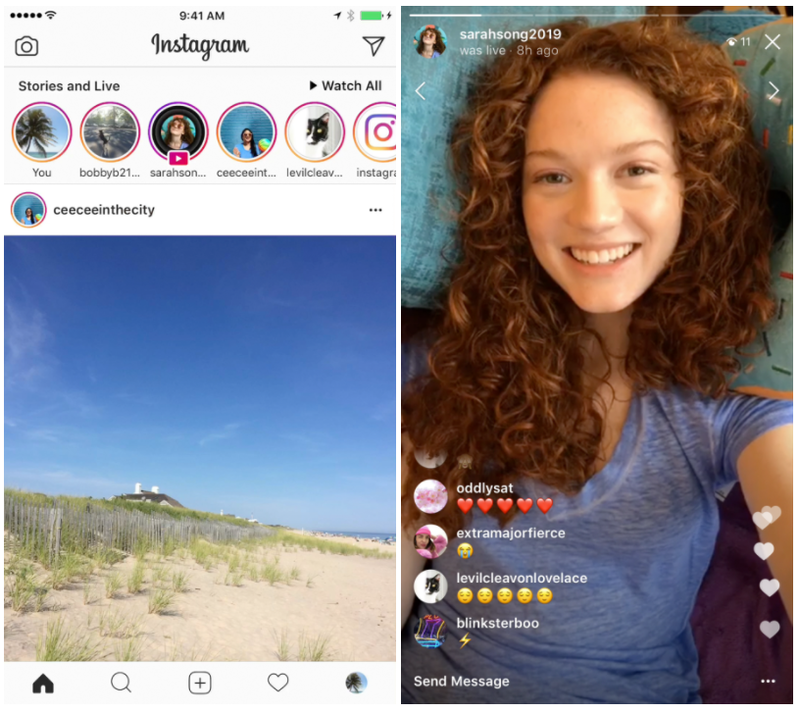 But then again, it makes sense that some people will want to keep their content - especially brands, who'll now have more motivation to create Instagram live-stream content, as they'll be able to add it to their Story and get more mileage out of their work. And with 250 million people now using Instagram Stories every day, that mileage is increasing rapidly. There are also, of course, ways to capture such videos for posterity - nothing online is ever, truly ephemeral. If you hadn't considered Instagram Live previously, maybe this will get you thinking on your opportunities. 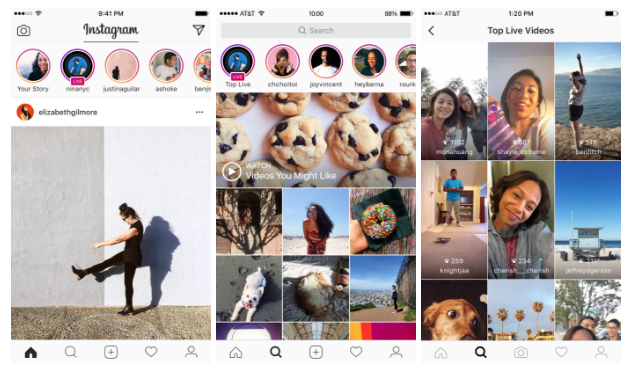 Instagram's live-stream updates are available as part of Instagram v. 10.26, available for iOS and Android.